This issue opens with the viewers gazing upon a mugging, and a voice describing the horrors of Gotham City. They speak of how you become one with everything around you, how you succumb to the travesties laid before you, and how you have the chance to change that.. This issue is the origin story of GOTHAM & GOTHAM GIRL and how they became enamoured with The Batman. With a family in the clutches of a mugger, quite a few years back, we are introduced to the origins of Hank and Claire (a.k.a. GOTHAM & GOTHAM GIRL). We see how Batman was the one that saved their family from the murderous gunman. An F.B.I. agent is interviewing their parents, who we later find out was indeed Bruce Wayne, in disguise. This issue also features a brief appearance of Professor Hugo Strange, The Psycho Pirate, and a mention of Amanda Waller. All in all this was a rather interesting issue with a glimpse into the pasts of our newly formed heroes, and the dangers Strange may impose upon Gotham City. 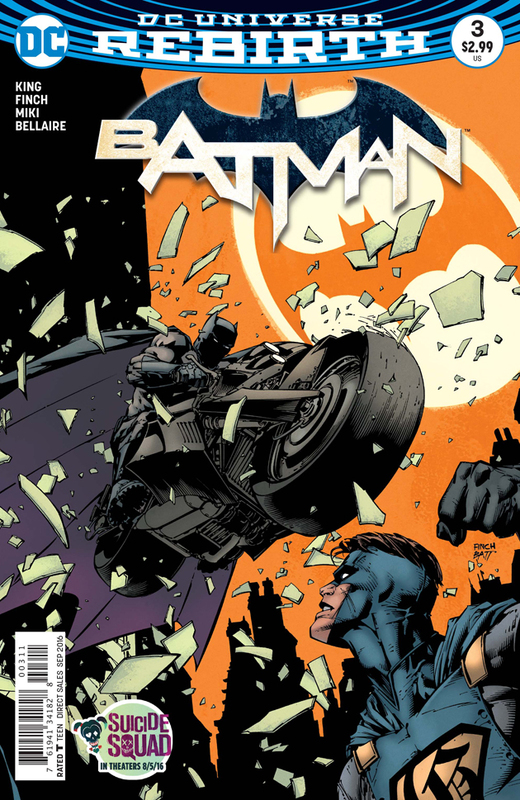 Batman #3 is now available here!